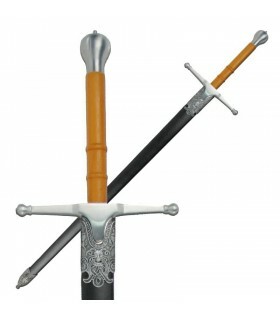 Scottish swords There are 20 products. 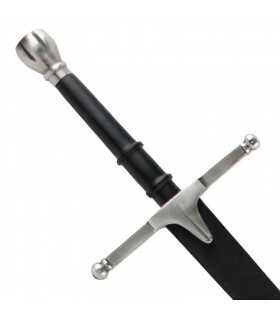 Replica Sword William Wallace, excelent blade forged in stainless steel. 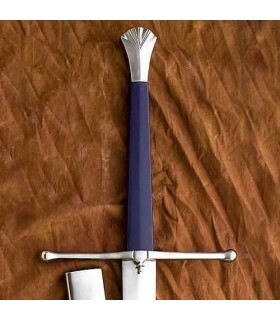 Hilt made of cast. 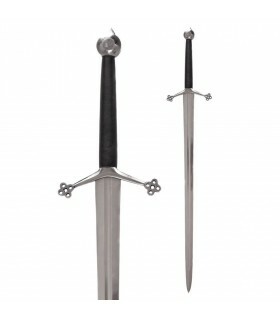 William Wallace sword with stainless steel blade. Made in Toledo (Spain). 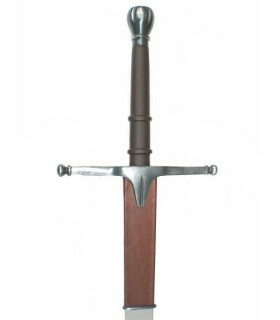 Scottish Claymore two-hand decorative sword with forged carbon steel blade, guarded with shamrock finishes, leather-lined handle and rounded pommel. Used in Scotland during the 16th and 17th centuries. William Wallace sword with scabbard. 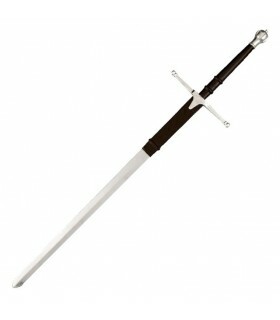 The replica of this sword is based on the film Braveheart. Braveheart is a winning movie five Academy Awards, including the Academy Award for Best Picture, released in 1995. It is an epic film based on the life of William Wallace, a Scottish national hero. claymore functional bluff strong, light carbon steel blade and handle riveting. 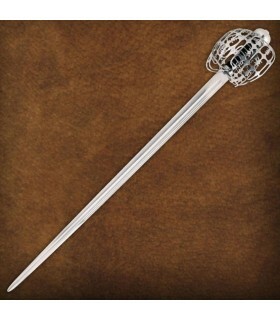 The term rapier currently also known as rapier. 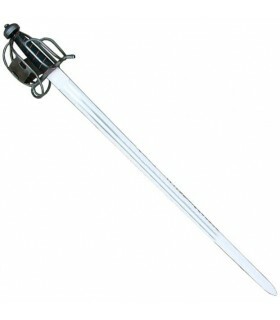 Claymore Scottish Functional Sword. 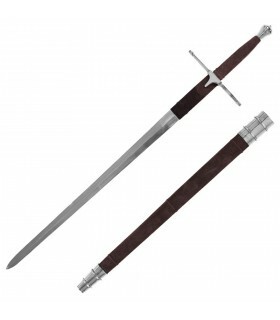 The William Wallace Sword is a 2-handed sword and is made of high-carbon 1065 blade and leather-lined grip. 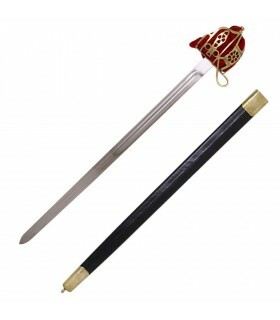 Functional Scottish sword with decorated basket. 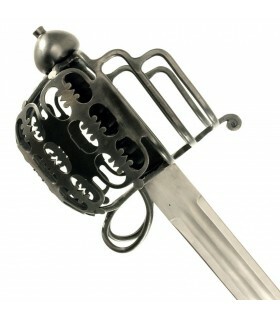 Manufactured in carbon steel by the master armorer from the Czech Republic, Jiri Krondak. 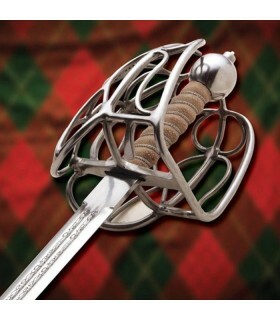 Typical Scottish Sword of basket, claymore, dated about 1828. It is decorative. Carbon steel blade. 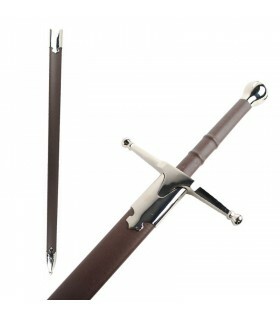 Includes leather sheath covered with metal finishes. 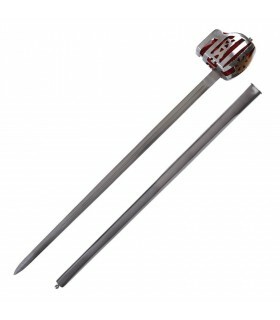 William Wallace sword with scabbard. The famous freedom fighter led the Scots to victory at the Battle of Stirling Bridge. He was named Braveheart for his courage on the battlefield. Our replica includes clad wooden sheath. Scottish sword Culloden S. XVI. 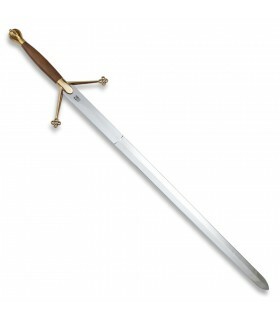 Sword Scottish Claymore mango wood, 133 cms. 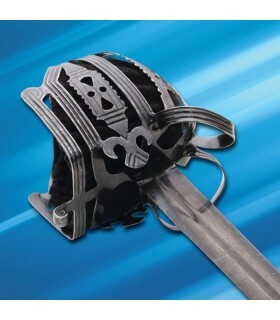 Sword Scottish Claymore with blade in stainless steel. Grip on wood, knob and save latonados. 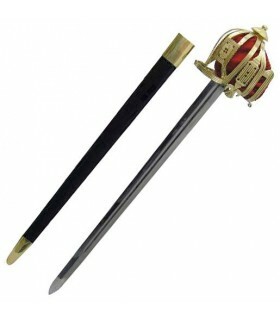 Sword scottish with a design of the EIGHTEENTH century. 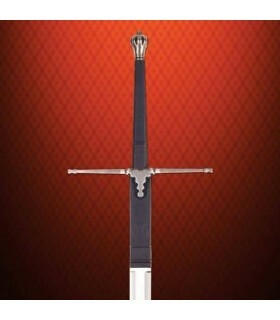 This type of sword was first used by John Simpson, a free man of Glasgow, in the year 1690, but the design became popular in the year 1730, when another John Simpson served as armorer of the King. 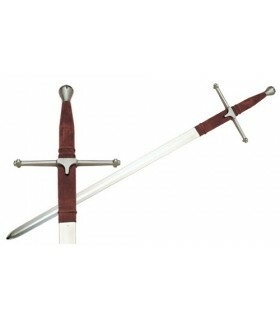 Our replica has the blade forged by hand, double-edged, and with a guard of a cup. Mandoble William Wallace made in Toledo. Replica decorative natural size, with an extent of 137 cms. The blade is made of stainless steel.